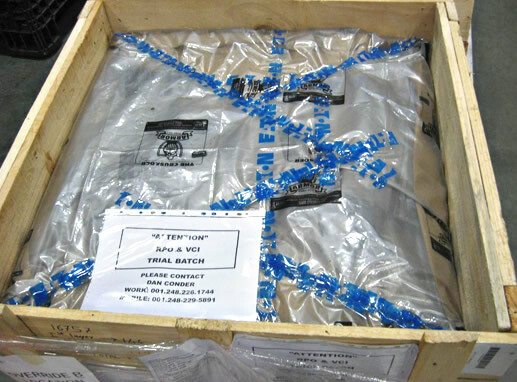 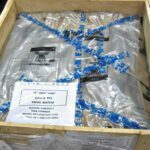 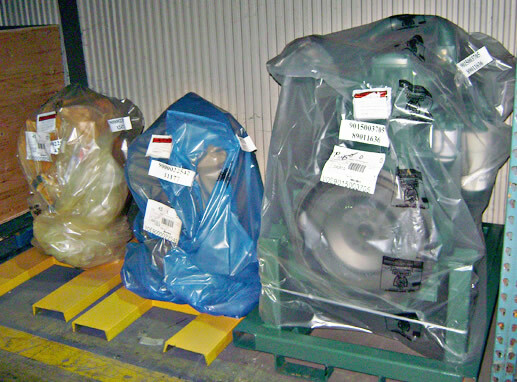 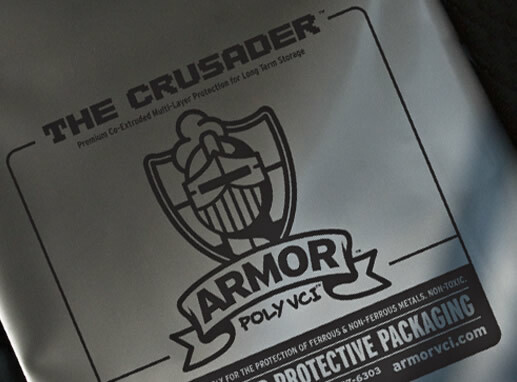 The CRUSADER™ is a tough co-extruded VCI film for the most demanding corrosion inhibiting applications. 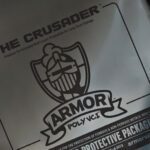 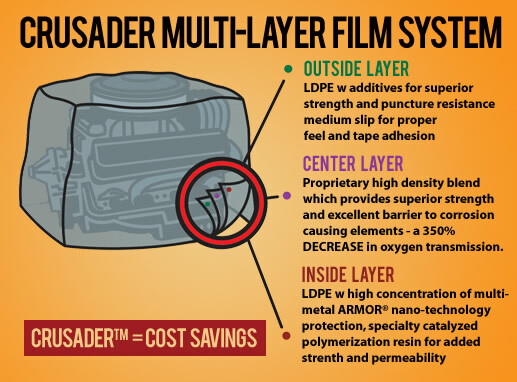 The CRUSADER™ utilizes three layers of film with specific characteristics used to prevent corrosion, provide additional barrier protection, and increase durability and puncture resistance over mono-extruded VCI films. 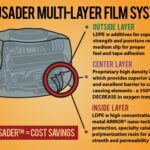 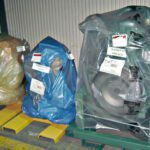 The multi-layer film system results in a 80% decrease in oxygen transmission (5x barrier protection) compared with standard film.